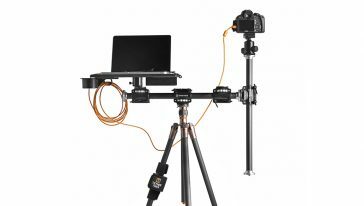 The Tether Table Aero provides photographers with a stable, portable tethering platform, perfect for daily studio use and the ideal out-of-studio workspace. 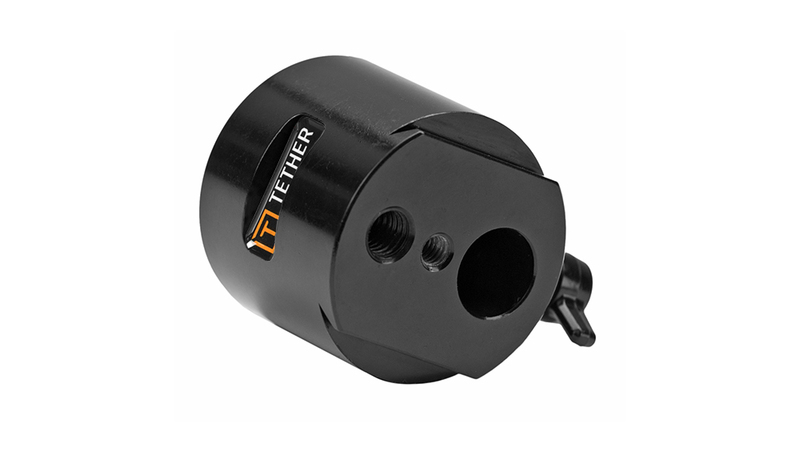 It attaches easily to virtually any tripod or light stand and is compatible with all standard mounting hardware. There are 5 different sizes to suit your needs. 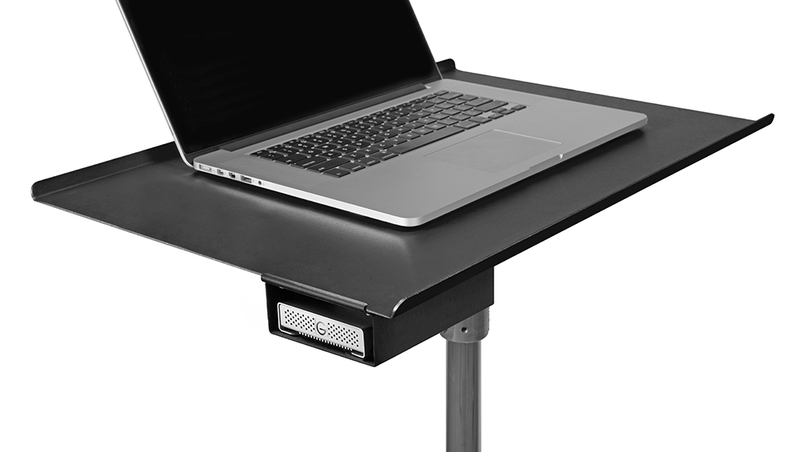 The Aero ProPad for the Tether Table Aero system is an easy-to-use, cushioned, specially-formulated memory foam material that keeps the Aero Table, and the gear on it, from slipping or scratching. The pad returns to its original shape and thickness, even after being clamped or pressed. The wave-channeling disperses heat generated by your laptop computer though embedded air channels. Would you like to add an Aero ProPad for $? 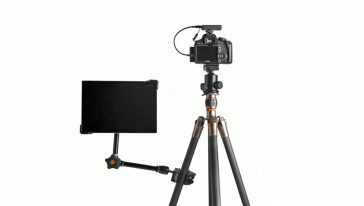 The Aero Series’ state-of-the-art design and functionality offers integrated mounting onto any 1/4″-20 tripod head, 3/8″ tripod mount, 5/8″ stud studio stand or Arca-style mounting attachment. 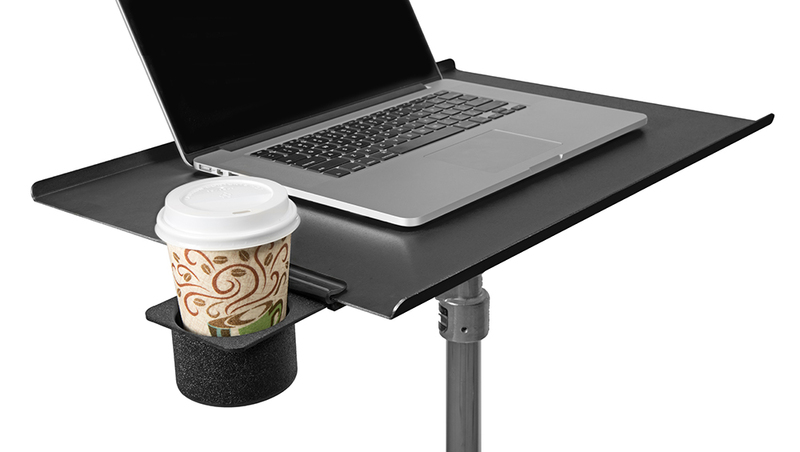 The Tether Table Aero mounts to any stand, tripod or arm in just a few seconds, no adapters needed using the LAJO-4 ProBracket. 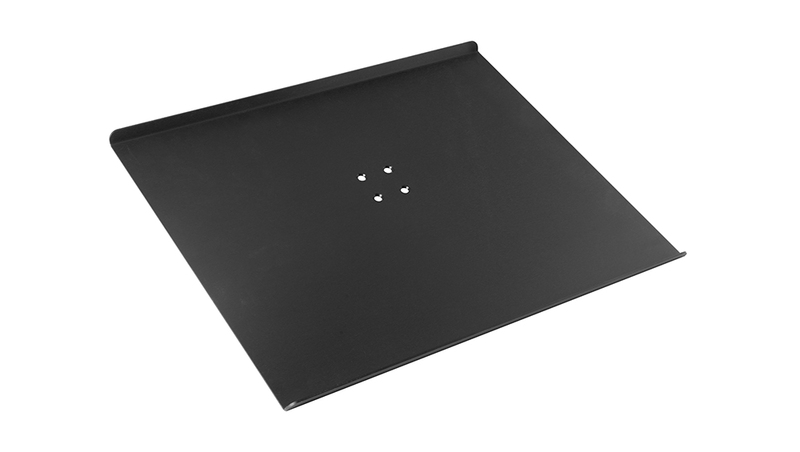 Made completely of T6 Aerospace aluminum, the non-reflective black textured platform was conceived by professional photographers and designed by aerospace engineers. This functional platform is unsurpassed in stability & durability. 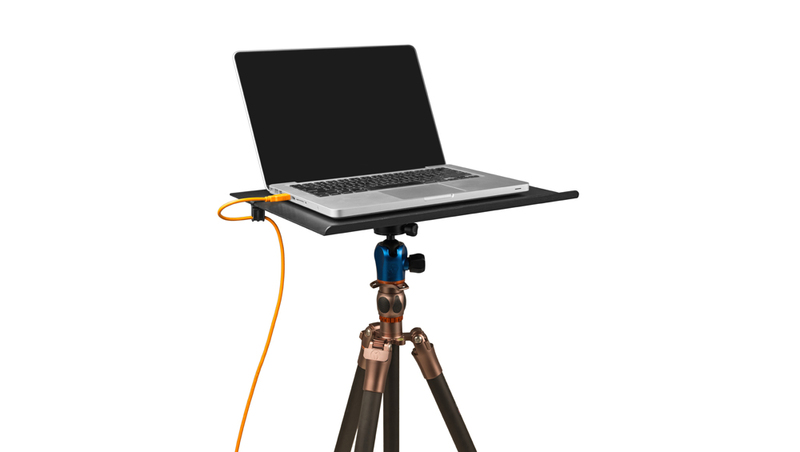 The Tether Table Aero was designed to meet the needs of not just photographers, but all creative individuals looking for a portable, secure table to attach to a tripod or stand. 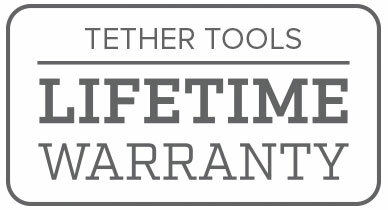 It integrates with the complete line of Tether Table Accessories. In this setup, the foundation consists of the Rock Solid Tripod Cross Bar mounted on the portable Rock Solid Low Boy Roller using the Rock Solid Baby Ballhead Adapter to connect the two. 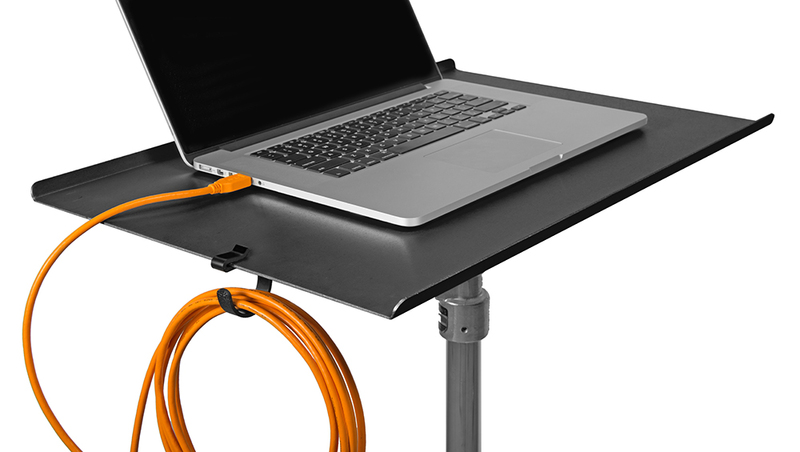 Directly mounted to the Cross Bar, a Tether Table Aero provides a firm base for a laptop using a JerkStopper Aero Clip-On Support to make sure the TetherPro USB Cable maintains connection. On the right side, a ball head is easily mounted on to the Cross Bar, and, of course, no tethering setup is complete without the indispensable JerkStopper Camera Support.